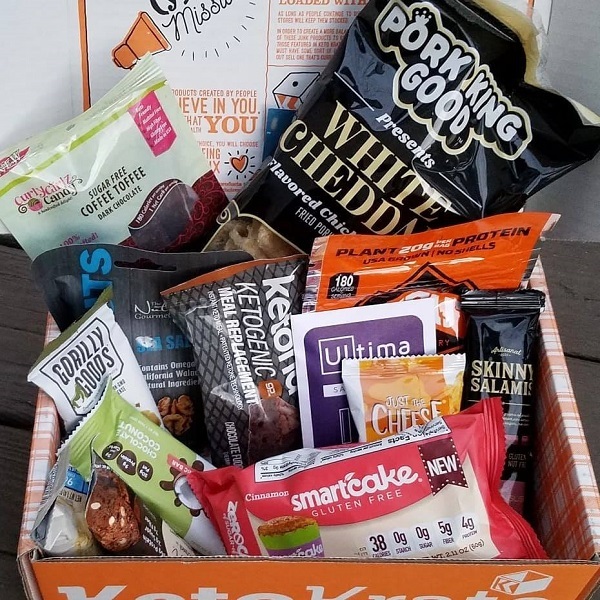 I just got my March Keto Krate over the weekend, and it’s FULL of (13!) fun keto snacks. They’re shipping this one next business day for super fast delivery right now, until it sells out. If you sign up today you can still get one. ? Use code TRAVELINGLOWCARB15 to get 15% off your first box. I’ll be back with my usual list of all the products inside, and the value breakdown of this month’s box – but I didn’t want you to miss out in case they sell out before I can get it all written up for you. ?